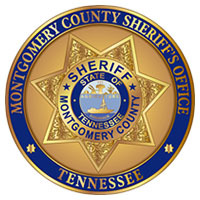 Clarksville, TN – Investigators with the Montgomery County Sheriff’s Office have taken two men into custody for vandalism and theft. Christopher Nicholas Lee Oquinn, 25, and James Dudley Cosgrove, 34, broke into a home still under construction on Freedom Drive sometime between Wednesday, July 25th and Thursday, July 26th, 2018. Once inside the residence they poured paint on the floors and left the water running in all the faucets flooding the two story home. Christopher Nicholas Lee Oquinn and James Dudley Cosgrove arrested by the Montgomery County Sheriff’s Office for Vandalism and Theft on Freedom Drive.